Buy Online Now! 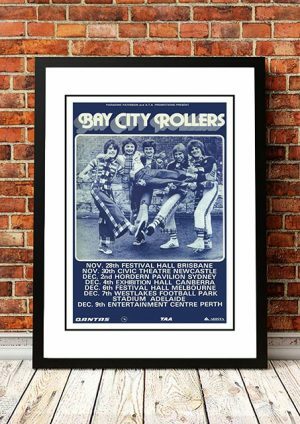 Classic Bay City Rollers Band Posters and Memorabilia! The Bay City Rollers were a Scottish pop/rock band of the ’70s with a strong following among teenage girls. The origins of the group go back to the formation of the duo the Longmuir Brothers in the late ’60s. They eventually changed their name to the Saxons, adding singer Nobby Clarke and John Devine. Then they changed their name again by pointing at random to a spot on a map of the United States: Bay City, Michigan. Their first hit was a cover of the Gentrys‘ “Keep on Dancing,” which reached number nine in the U.K. in September 1971. At this point, the Rollers became a teen sensation in Great Britain, with their good looks and tartan knickers, and they scored a series of Top Ten U.K. hits over the next two and a half years: “Shang-a-Lang,” “Summerlove Sensation,” “All of Me Loves All of You,” “Bye Bye Baby” (a cover of Four Seasons hit that went to number one), “Give a Little Love” (another number one), “Money Honey,” “Love Me Like I Love You,” and “I Only Want to Be with You” (a cover of the Dusty Springfield hit). Their albums Rollin’, Once Upon a Star, Wouldn’t You Like It, and Dedication were also Top Ten successes, with Rollin’ and Once Upon a Star getting to number one. The Rollers also had five straight gold albums in the U.S.: Bay City Rollers, Rock ‘n’ Roll Love Letter, Dedication, It’s a Game, and Greatest Hits. 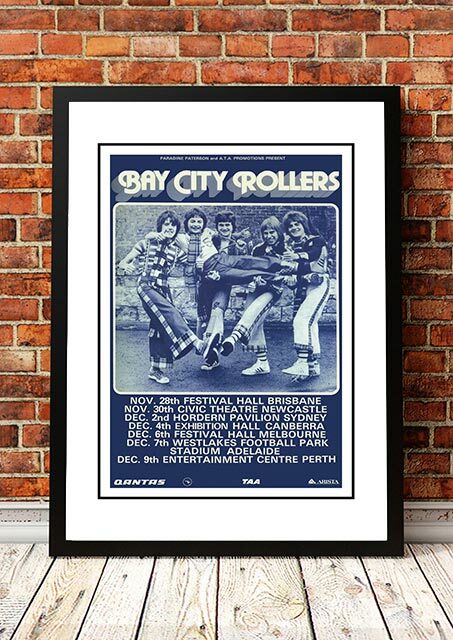 We stock some awesome Bay City Rollers Band Posters.